Have you ever listened to what your inner critic actually says to you on the daily? Now we’re a month in and last week I got a peek at that Resistance first-hand. I’m fairly comfortable and confident in my practice at this point. I’m not an expert or an advanced student, but I no longer doubt myself much in class anymore. I know my limitations and my strengths. But learning to teach others how to do yoga, specifically how to cue them to bend themselves into these shapes with Sanskrit names, is a WHOLE other ball of wax. My mind goes completely blank. I know the pose, but I don’t know how to tell you to make it with your own body. I realized this week that I may have a particularly vocal Resistance that is speaking up because it’s not used to being poked too much. It kind of gets to run the show in my life. As a freelancer/small business person, I don’t do things I’m no good at. I do the jobs I want to do, and typically I accept those jobs and get excited about them because I’m pretty sure I’m going to do an awesome job at them. Sure, I stretch myself and learn new skills from time to time, but on my own terms. I don’t have a boss assigning me a new project I have no choice but to complete. I don’t answer to shareholders who want to move in a new direction. I do the work I want to do, for the most part, on my own terms. So I was feeling pretty crappy about my progress in teacher training, but I drug myself to my favorite Monday morning yoga class with Colleen, still brooding a bit about my sucky teaching skills. Aha! Lightbulb moment. Because I remember exactly how I felt two years ago in her class, thinking, “Handstands, is she crazy? !” The first time, I don’t even think I tried to do one. It’s amazing how when you tell yourself you can’t do a thing, you then in fact, actually can’t do it. You prove yourself right. And the cycle perpetuates. So I changed that conversation. I would say to myself instead, “I am light. I am light. I am light.” Over and over again, and that was the only thought I allowed in my brain while any type of inversion was being attempted. I meant it in both the divine and physical ways. I remember my sense of utter delight and wonder when I actually got upside down. I think it’s too hard and I can’t do it. I check out when I feel like I’m not doing something really well. I get overwhelmed and my energy drains. Check, check, and check. Thanks for coming to yoga teacher training with me, Resistance. Glad to see you made yourself comfortable. Sound familiar? If so, here’s what I plan to say to myself next time this happens. Maybe you can try it too. Here’s the deal, Resistance. I understand you just want to protect me. You don’t want to see me fail and my ego get crushed. But you know what? My Curiosity is in charge for awhile. We’re going to try a few things that are going to make you uncomfortable. Everything will be okay, I promise. Because whether it’s standing on my hands or figuring out how to explain Downward-Facing Dog (that’s Ardho Mukha Svanasana to me) to a beginner, I want to try to learn something new. Let’s see what happens now. I’ll keep you posted. 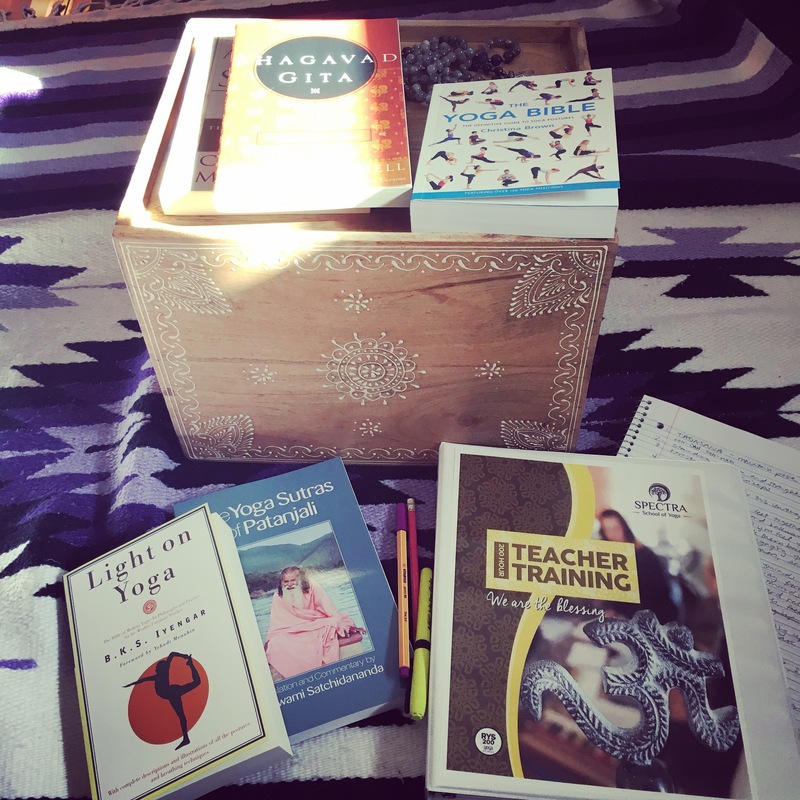 For more on my yoga journey, check out when I fell in love and the decision to start teacher training. P.S. Part of the reason I recognized Resistance is that I just finished reading The Big Leap, which is all about how you have an Upper Limit Problem you don’t even realize. It’s definitely worth a read. The room went eerily silent, and 24 pairs of eyeballs were pointed at me. Anticipation was hanging thick in the air like a humid summer day. 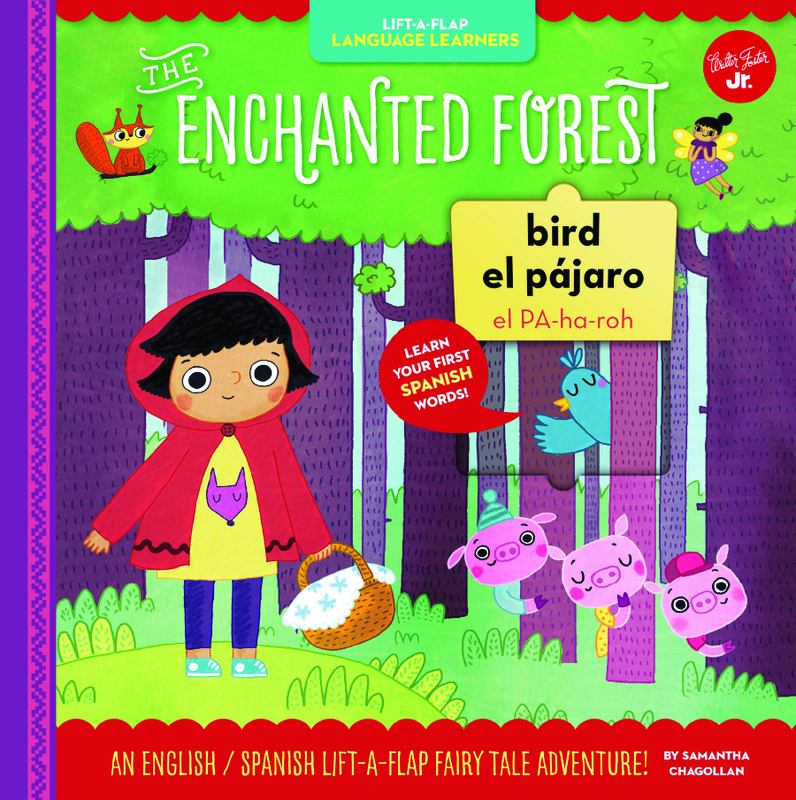 A few months ago, I did my first official reading of my bilingual book for kids, Enchanted Forest. 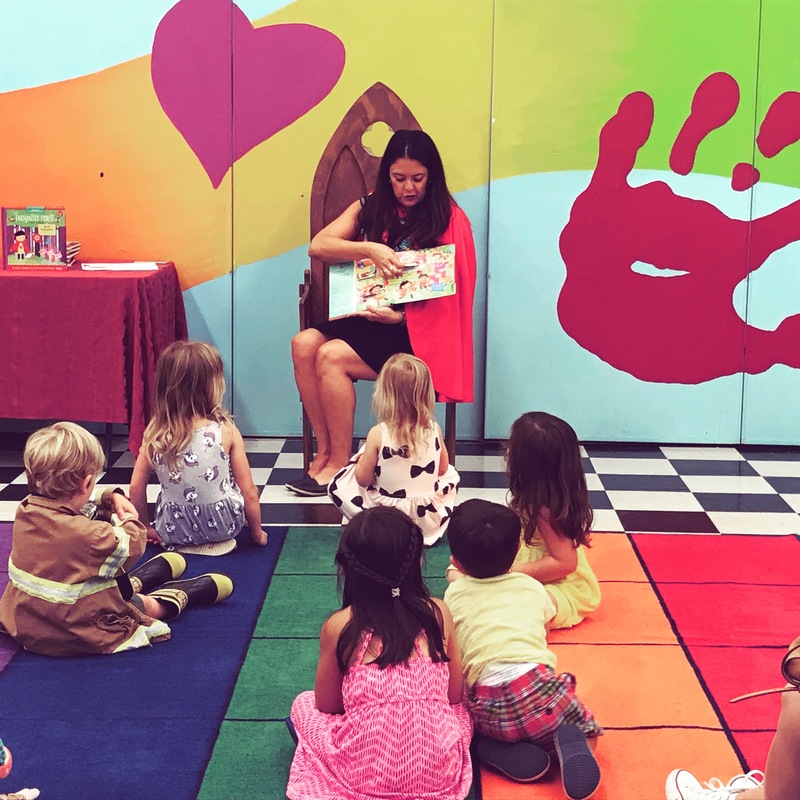 I was delighted to be asked to do a reading and signing at the Children’s Museum in La Habra. I was so excited about it, that I fretted in the weeks leading up to the date. How would I read it? Would the audience be expecting me to read my story in Spanish too? What if the kids don’t like it? WOULD ANYONE EVEN BE THERE? If an author reads a story in an empty children’s museum and there’s no one there to hear it, does it still exist? We are talking #nextlevel anxiety here. I was working myself into a tailspin about one little reading. That I volunteered to do. And I was really, truly excited to do the reading! I just wanted it to be perfect. But at one point, I had a moment of clarity and realized what I was doing to myself. I was trying to control the outcome of something I had absolutely no control over. I started thinking about ALL the things I do this with. Ever since last year’s election, there has been a cloud of uncertainty and anxiety following me around like a curse. I don’t think about it every minute of every day, but I do listen to podcasts and read news stories every day that have me seriously fretting about the future of our country and the world. Add to that the other stuff that’s swirling around in my head all.the.time., like my biz goals, work for my clients, traffic on the 405, new story ideas, the grocery list for next week, healthy meal prep, yoga inversion poses that challenge me, finding decent gluten free pasta, and on and on. And all the things I forget to remember, like shutting the freezer door all the way, replenishing the dogs’ biscuit supply and setting up lunch with that friend I said I would call three weeks ago. I know you all have the same list of a thousand things running through your brain all the time. Don’t you? Well, I’m calling it. IT’S TOO MUCH. Some of that stuff I can control, but some of it (most of it), I absolutely cannot. And even if I could, it probably wouldn’t matter anyway. Case in point: here’s what happened at my reading. I did not leave 45 minutes early, as planned. Traffic stunk. I got there just barely on time to an empty room. I took some deep breaths. The room started to fill up. Slowly at first, and then in little rushes. It wasn’t a full house but there were at least 20 people there. Kids and parents and grandparents…it was kind of awesome. I took a few more deep breaths, and then I just jumped in. I read my story and to my delight and surprise, no one threw any rotten tomatoes or insults at me. In fact, I think they kinda liked it. A few of them even wanted to buy my book and take a picture with me. Pretty cool. So as I drove home, I started thinking about what I could do in the future when I get myself into one of these anxious tailspins, and I came up with these three keys. I sure could have used them before this reading, but I think they actually can be used for anything. Lower the stakes and narrow the scope. Dial back the drama already. Ask yourself, “If this thing doesn’t turn out the way I want, what is actually going to happen?” No doubt the world will NOT end, your life will not be over, and your life’s purpose will emerge unscathed. So lighten up a bit, will ya? If you don’t know already, ask yourself why you’re doing this thing. What do you want to get out of it? When you’re done, how do you want to feel? Try to have a little fun. Whether you’re reading a book in front of a bunch of toddlers, or speaking to a crowd of a thousand, nothing is THAT serious. Think of something that makes you laugh, or find a little humor in the situation. Seriously, it’s not that serious. Got it? Good. Now take a breath and go conquer the world. And PS, I’m happy to report I have since done many public reading and signings for both Enchanted Forest and my next book, Enchanted Castle, and somehow the kids always show up and seem to enjoy it. Imagine that! When I took the leap from corporate to freelance work a few years ago, I was both frightened and empowered. I knew I had gained some valuable knowledge and skills in my corporate job, and I was confident I could provide valuable assistance to other businesses. 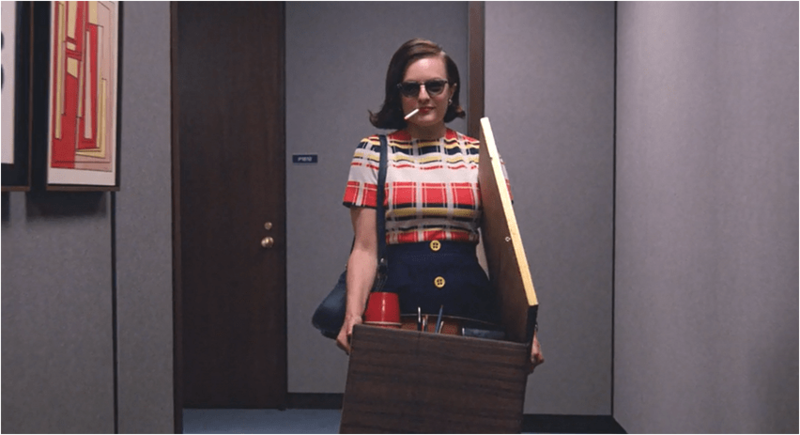 But I didn’t realize I needed to UNtrain myself in order to be a successful consultant. My approach, my mindset, and my attitude all needed some serious adjustments, and it took me awhile to figure that out. So if you’re thinking about taking the leap from corporate to freelance, here are some ways you can shift your mindset before you take the jump. In the corporate world, everyone seems to have this in common: too many projects, too many meetings, not enough budget. Am I right? So we end up hiring candidates who are multi-tasking warriors. We even ask them about this specific skill when we interview them: “Tell me about a time when you had to juggle multiple projects on a tight deadline, and how you handled that.” Sound familiar? 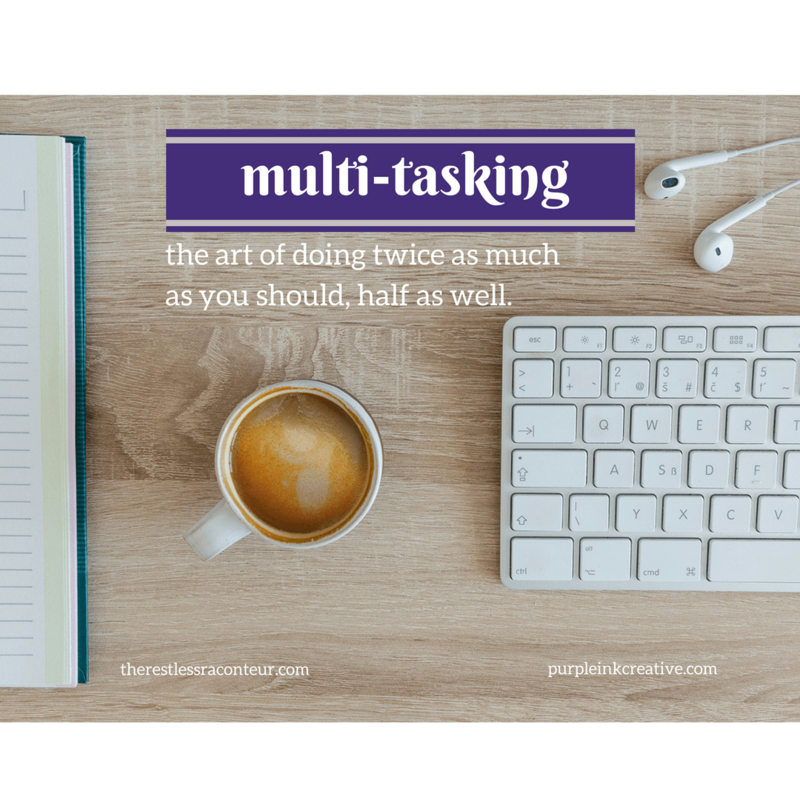 Multi-tasking can (and has to!) work on a corporate team, where different team members are assigned to various projects, and a manager keeps everyone on task and on-time. But when you’re a freelance consultant, you are team member, manager, and project manager all in one! And if you try to multi-task different client work, you will end up disappointing your clients and wanting to throw your laptop out the window. You have to take each client, each client project, ONE at a time. I use my Google calendar to schedule out EVERYthing, from client work to workouts. And I know myself well enough now to know that my sweet spot is taking on one to three client projects in a week. And when I block out time for a project, I only work on THAT project during that block of time, and nothing else. Because–here’s the beauty of freelancing–I can hang up my Do Not Disturb sign. My boss isn’t calling. My team isn’t knocking on my door. I am truly in control of my time, so I make sure to devote my full and complete attention to each project, and I do my best not to get distracted. PS: Do yourself a favor and schedule some free time in-between those project blocks too. A 5-minute Vitamin D break or a 15-minute walk around the block ensures you’re ready to give your whole mind and focus to the next project too. It’s All About Me. No, Really. As a freelance consultant, humility is NOT a virtue. I had to get comfortable talking about the knowledge I have, the praise I have garnered, the skills I have that make me unique and knowledgeable. I had to learn how to toot my own horn. Not in an arrogant or boastful way, but with a confident certainty that helps my potential clients realize that what I have to offer is what they need. Every initial client consultation is a job interview. So you’d better be ready, and shelve that humility for a bit. In corporate land, you often don’t have much say in which projects you work on. Most assignments are given to you–by your boss, your boss’s boss, etc. As a freelance consultant, you have the freedom to choose whatever projects and clients you want to work on. Awesome, right?! But there is a common problem for many of us freelancers: feast or famine. Meaning, oddly enough, one month clients are knocking down your door like crazy, and the next you are knocking on THEIRS begging for work. I don’t know why those flurries occur (cosmic energy? quarterly budgets?) but I can attest to their absolute existence. So as a freelance consultant, you have to come up with your own ways to ride out the waves, because there’s no big boss to come hand you your next gig. Here’s what I’ve learned: I schedule my hustle into my flow. When client work is leaner, I start to schedule in time for networking events, polishing up my social media game, and learning new skills. Yes, I put those things on my calendar too. And you know what inevitably happens when I start connecting and learning? I meet new clients. I learn new stuff to attract new clients. And my regular clients start calling again too. The key is not to panic–or park yourself on the couch to Netflix for a solid week either. Keep doing your work, and the tide will come back in. So often in my corporate job, I had to find ways to tactfully say no. There wasn’t enough time, or budget, or resources to do some of the projects I really wanted to do. Of course there were some I was happy to say no to also. Now that my time is my own, I try to say yes as much as I can. Time is still money, so I can’t say yes to everything. But when I am approached to volunteer for an organization I admire, or to attend a new event or networking group, or even to have a conversation with a head hunter when I’m not in the market for another corporate job–I say YES. 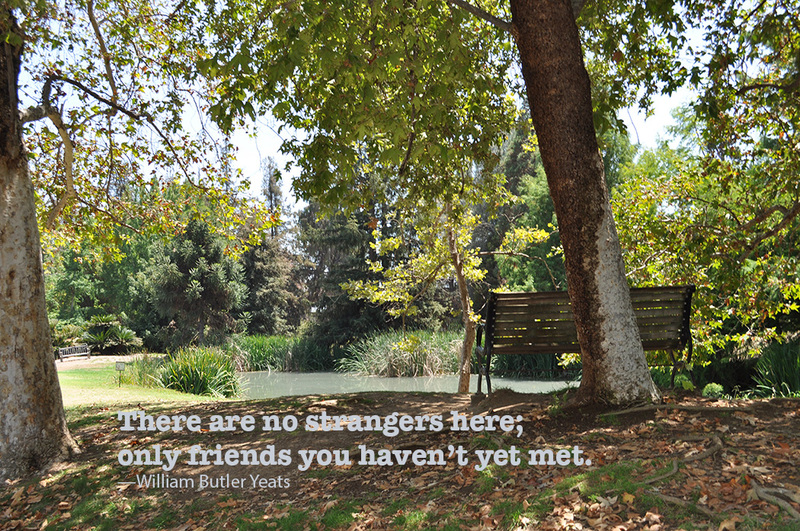 Because you never know whom you might meet, or what connections you might make that lead to the start of something wonderful. I still listen to my gut and if it doesn’t make sense for me, I will politely decline. But I really like to say yes now, because I can. And it feels so much better than always saying no. For more on making the making the leap from corporate to freelance work, see my post on the 5 tools you need to know about, and what it really means to work from home. 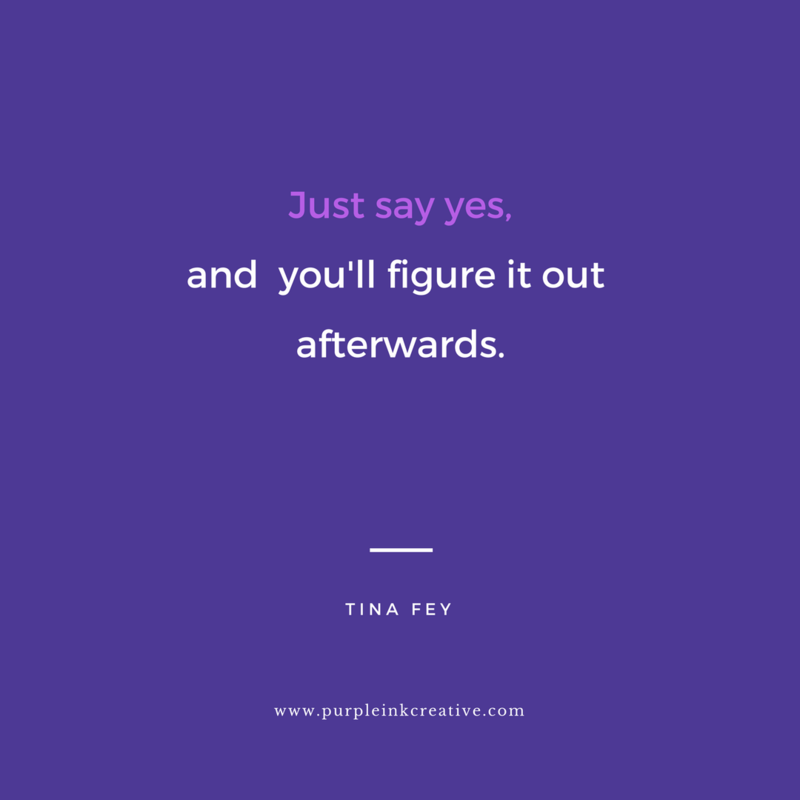 And if you need some help with marketing, writing, or editorial, come on over and see me at Purple Ink Creative, I’d love to help! If you had told me last year that I would willingly enter a 100° room and stand on my head, I would have laughed loudly and ungraciously at your expense. But the joke would have been on me, because, surprise—I am in love with hot yoga. In fact, as of today, I have taken 47 classes in the last 90 days. It all started with a quiz I took from the Chopra Institute to determine my ayurvedic type. Turns out I am Kapha-Pitta, and when I looked up recommended exercises for my type, hot yoga was among them. Hmmm…I pondered how this was possible, since I will take ice over fire any day. I’m always warm, my body temp runs hot, and what I hate more than anything else about the other types of exercise I’ve tried is how HOT I get. So voluntarily raising my body temp PLUS working out? Sounds like a horrible idea. Then a brand new studio opened in my ‘hood. Spectra Yoga is everything I could wish for in a studio; the teachers are knowledgeable, kind and helpful, genuinely invested in your practice, and the facility is clean and light and has a totally welcoming vibe. So I took my free week, and I tiptoed into it. I went to a regular class first, no heat. Okay, I’ve done that before, no biggie. Then the first time I went to a heated class, I freaked. I got there early and the room already felt stifling to me. I sensed a little seed of panic starting to worm its way up through my gut. What if I melted into a puddle? Or passed out? Or burst into flames? I took a place by the door just in case. But the strangest thing happened, and it was none of those feared outcomes. Instead, I lost myself for that hour. I forgot what time it was, how hard it was, or how much I was sweating. I was just in it. For 60 short minutes, I lost track of all the thousands of little things that were running around my mind like an untrained puppy. By the time shavasana rolled around at the end of class, I was hooked. So I came back the next day. And the next. And when Spectra ran a Summer Challenge, I signed up. And that’s how I made it to 47 classes in 90 days. I didn’t win the Challenge. Not even CLOSE! But I was so happy this morning when I made my little X on the leaderboard and realized that more days than not this summer, I’ve been on my mat. 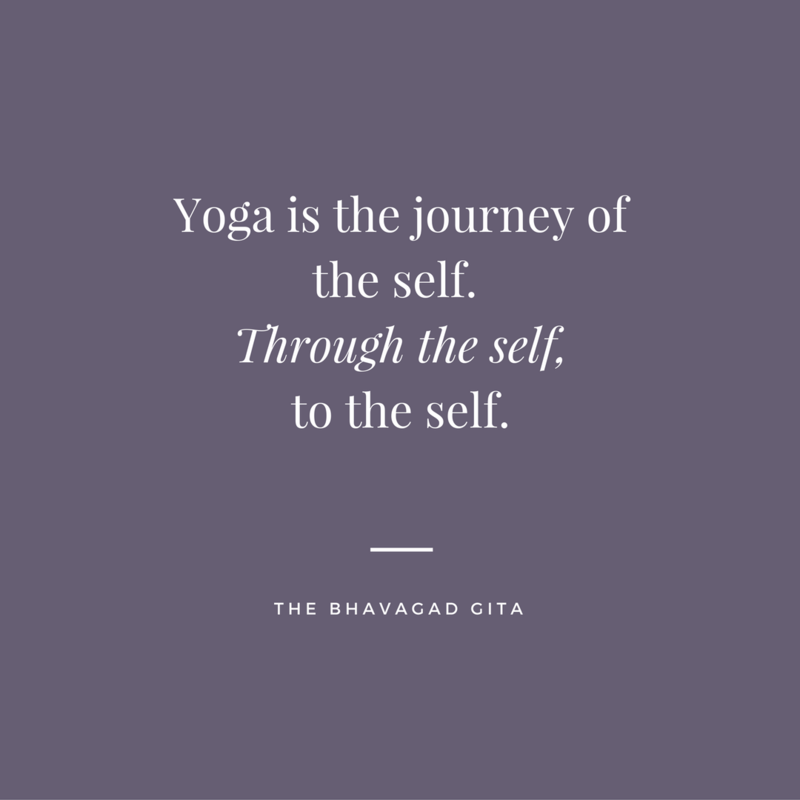 And I’ve discovered that no matter what class I take, whether it’s a vinyasa flow, hot yoga, or yin class, I almost always walk out feeling calm, happy, and ready to face whatever is coming up next in my day. I’ve learned that the bliss of shavasana, that little bit of complete rest at the end, can stay with me. I hesitantly confessed to my dear friend, yoga teacher Natalie Moser who shares her insight through her amazing blog PranAbundance, that I wasn’t doing shavasana right. I felt kind of ashamed to tell her that I wasn’t really letting go of all my thoughts in those few blissful moments of silence. I swear, it’s actually when I get some of my best ideas. Anything I was struggling with before class, or a decision that needs to be made…the answer will inevitably come to me in those silent moments of clarity. And then I run out of class and make notes on my phone so I don’t forget these sparkling ideas that bloom up during yoga. Natalie assured me I am not committing a yogic sin, so I feel better about that part. I’ve been playing around with yoga for the last 20 years. I even remember buying my first Rodney Yee video, when I was too shy to go to a class and wanted to learn in private. 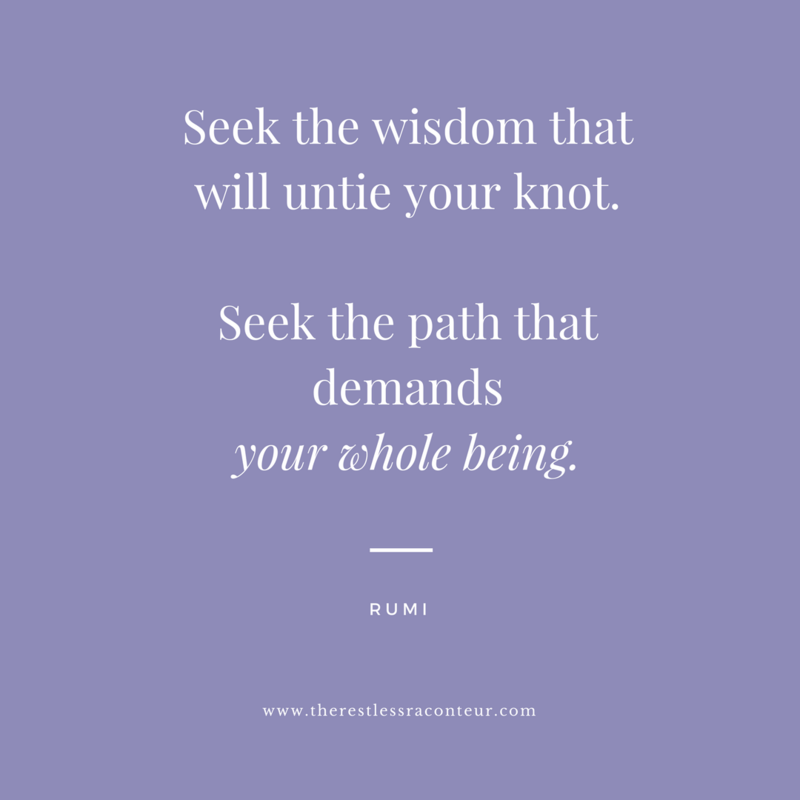 But this is the first time I’ve ever really felt connected to the practice, and it’s really resonating with me. And as a freelance consultant, my yoga class is often the only time I speak to or see other humans during my work day. I look forward to the interactions and conversations with my teachers and fellow students. So I’m going to keep going. Tomorrow, and probably the day after too. I’m going to keep sweating and sighing and stretching and reaching for my edge. And I think the most important thing I’ve learned in trying hot yoga is this: don’t knock it until you try it. It’s good to shake things up once in awhile. And to move outside of my comfort zone. After all, that was my intention when I started this new journey. P.S. There are some great articles out there about why shavasana matters, and the benefits of hot yoga. If you’d rather do your yoga at home (where you can control the temperature!) check out two of my fave online programs: doyouyoga and yogaglo. That’s how I found my way back to the mat! You should also check out the wonderful musings of one of my favorite teachers at Spectra, Colleen Hieber. She puts it all together: mind, body and spirit. I’m not really the kind of girl who chats with strangers. In fact, I tend to avoid them. At the gym or on an airplane, I’m the chick who gives you a smile as she’s putting on her headphones and cranking up the music. Because I’m sure you’re really nice, but I’m not looking to make any new friends. And I don’t really want to end up in a political debate with you, or talk about the Kardashians, or hear about why your chick lit book is totally enthralling and I have to read it. I’ve always been kind of a snob when it comes to strangers. But I think I’m a changed woman. On a recent trip up north, I met two strangers who I think the Universe may have placed in my path for a purpose. Which made me think back to last December, when I was on a very emotional and nerve-wracking trip to the same destination. And if it weren’t for the kindness of a few strangers, I’m not sure what I would have done. A more prudent and financially responsible person would probably not take a trip across the country when unemployed. I, however, have never been known to be prudent. As the saying goes, you either have time or money–rarely do the two come together. 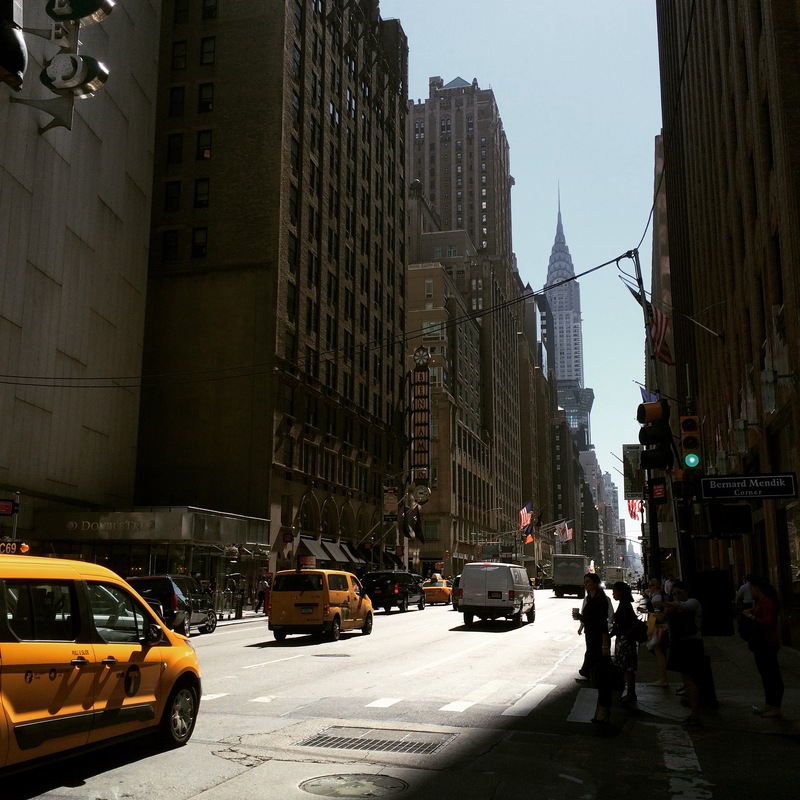 One of my dearest friends had been living in the city for more than a year, and I had always wanted to come visit her in my favorite city–but I could never get away from work. When that problem disappeared, I decided to make it happen, fiscal responsibility be damned. I’ve traveled alone for business many times, but it’s been a good long ten years (at least!) since I traveled somewhere by myself just for fun. My husband is my steady travel partner, and we’ve had many great adventures together. But this was a whole new animal. And it was kind of freeing. Cheesy chick flick with a side of chardonnay on the plane? Check. Headphones with awesome music on all the time? Totally. Kind of loving this.